Hello, my name is Jane Dawber, CYA Recreational Soccer Director. Thank you for volunteering to coach in CYA this season. So the Age Group Coordinator, your child, or your spouse convinced you that coaching your kid would be fun. They were correct. It is fun and you will get to know your child and their friends in a totally different way. The kid who came to your house that was so shy may never stop talking to you. You will walk into school and suddenly half your child’s class starts frantically waving to get your attention and you hear one proud kid say “that’s my coach.” You will get in the car with your child for a long car ride and realize there is one more thing in common for the two of you to talk about. For our coaches to have as much success on the field as possible, we have created sample session plans for the season. We highly encourage the coaches to use these session plans with their teams or to use them as a guideline when planning their own sessions. We will hold a classroom Series this Fall (2017) for rec coaches to attend at the CYA Office. If you would like to attend one of the following classes please sign up here. If you cannot attend the CYA courses the following course and links are helpful. D License - Hosted in CYA on June 23rd - June 25th. CYA soccer strongly encourages coaches to pursue licensing as a means of improving their knowledge of soccer and their teaching skills. CYA soccer recommends that bantam and junior coaches who plan to continue coaching to obtain at least an “F” license. CYA recommends that senior coaches obtain an “E” license. “E” and “F” license courses are periodically offered by CYA free of charge. Coaches should contact their division coordinators. If a coach wishes to take an “E” or “F” license course offered by another soccer association, CYA will reimburse the coach for the cost of this training. Coaches should contact their division coordinator prior to taking this course and obtain the necessary receipts for reimbursement. CYA soccer strongly supports coaches who wish to obtain coaching licenses beyond the minimum recommended level. CYA may less frequently offer a “D” license course free of charge. Coaches interested in such a course should contact their division coordinator. CYA may reimburse coaches who pursue “D” or higher-level training at other soccer associations. Due to the higher cost of such courses, CYA will require that coaches obtain soccer board approval for reimbursement prior to taking the course. 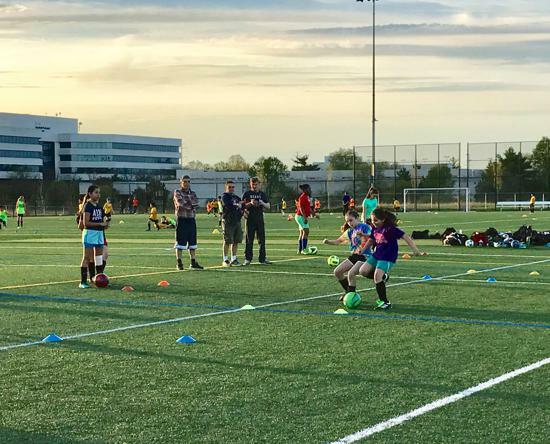 CYA recommends that coaches seeking reimbursement for higher level coaching courses provide a statement to the CYA soccer chairman of their intent to share the results of this training through further coaching or assistance to others in CYA soccer. We always need additional volunteer coaches and strongly encourage you to give it a try! The time you spend teaching young children is fulfilling and a great way to get to know your child and their friends in a different way! Age Group Coordinators will also do their best to help coaches manage their time on the field so that coaches can meet their obligations to work, family, and other coaching responsibilities. If you are willing to help, contact an Age Group Coordinator in the Bantam (U5-U7), Junior (U8-U10), or Senior (U11-U18) division and/or identify your willingness to coach while completing the online registration for your player.